In 1935 only 10% of American farms were receiving electricity. In fact, smaller nations of the world were significantly ahead of the U.S. in rural electrification. For example, Sweden had 65%; Denmark 85%; Japan 90%; France 98%; and the Netherlands 100%. To help rural Americans get electricity, the Rural Electrification Administration, referred to as R.E.A., (currently referred to as RUS, Rural Utilities Service), was created on May 11, 1935 by an Executive Order of the President of the United States, Franklin Delano Roosevelt. The purpose of the Rural Electrification Administration was to make long term, low interest loans to utility companies to construct electric lines in the rural areas. Even though the long term, low interest rate loans were available through R.E.A., the existing electric companies turn a deaf ear to rural America when they requested electric service. Since no one else was willing to serve the sparsely populated rural areas with electric power, rural people organized their own businesses and served themselves by forming electric cooperatives. With borrowed monies from the Rural Electrification Administration, the cooperative constructed lines into rural areas. On June 14, 1937, a small group of people from Boyle, Garrard, and Marion counties met in the Farm Bureau Office in Danville, Kentucky and officially organized Inter-County Energy. The first lines in Inter-County Energy’s service areas were energized from the Perryville Substation on June 10, 1938. The Garrard Substation was energized on August 24, 1938, and the Marion county Substation was energized in September, 1938. From this humble beginning, Inter-County Energy had grown tremendously. People in adjoining counties contacted Inter-County Energy in an effort to get electric power into their areas. As a result, Inter-County Energy now serves in twelve (12) counties. The counties are Boyle, Lincoln, Marion, Garrard, Mercer, and Casey, Nelson, Washington, Larue, Taylor, Madison and Rockcastle. As of December 31, 2014, Inter-County Energy served 25,536 members on 3,824 miles of line. Past history of Inter-County Energy’s members indicate that they double their kilowatt-hour usage, or electric power consumption about every seven to nine years. In recent years, the growth rate has slowed down due to conservation and consumers using more efficient equipment. As of December 31, 2014, the average monthly kilowatt-hour consumption per consumer was 1,375. 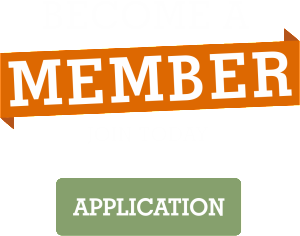 Due to members requiring more power, the system must continually be improved. That’s why each year the cooperative is required to replace miles and miles of single-phase lines with multi-phase lines, plus we increase the capacity of the system by re-insulating lines that were carrying 7,200 volts and make them capable of carrying 14,400 volts. This is a costly process, but is necessary in order that the cooperative may continue to provide the quality of electric power that our members are used to. the same comforts that electricity afforded others in the more urban areas. 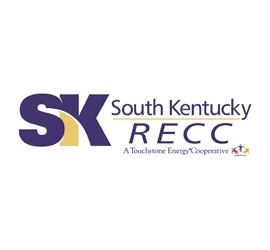 For an even better sense of South Kentucky RECC and the cooperative difference, we invite you to attend our annual meeting (held in the summer) for some important business, great entertainment, and to be part of the co-op community.